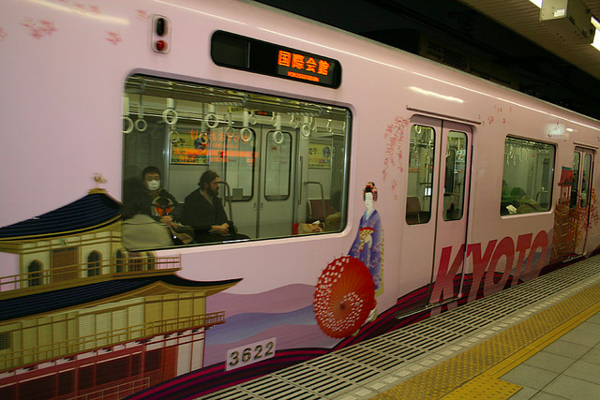 Subways are the best way to move quickly around Kyoto. Problem is, there are only two subway lines. Here’s how to make the most of their limited reach. 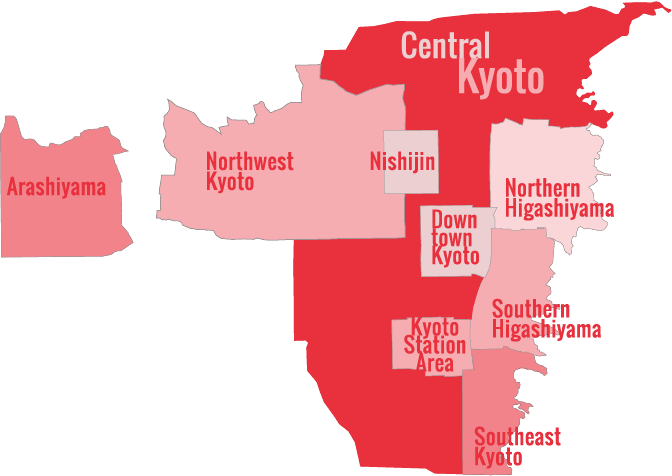 The Kyoto subway system is composed of two lines: The north-south Karasuma Line and the east-west Tozai Line. These two lines intersect in the middle of Kyoto, allowing you to transfer lines. Although they don’t serve much of the city, if you use them wisely, they can really save you time. And, of course, they’re a lot easier to figure out than buses and a lot cheaper than taxis. See also my page of information on special subway, train and bus ticket deals. The Karasume Line runs north-south through the city, passing for much of its length under Karasuma-dori Street, from which it takes its name. It stops directly under Kyoto Station and goes as far south as Takeda and as far north as Kokusaikaikan (which is the stop for the Takaragaike International Conference Hall). The Karasuma Line is the best way to travel from Kyoto Station to Downtown Kyoto: the Shijo stop is right in the middle of downtown and the Karasuma-Oike stop is at Oike-dori Street, on the north side of downtown. Heading further north, the Imadegawa stop is convenient for the Gosho and the Imperial Palace Park, while the Kitaoji stop is convenient for Daitoku-ji Temple. Most importantly, the Karasuma Line intersects with the east-west Tozai Line at the Karasuma-Oike stop, and if you switch here to the Tozai line, you can get easy access to the Higashiyama sightseeing district (see the following section for details on the Tozai Line). “Tozai” means “east-west” in Japanese, and, like the name suggests, the Tozai Line is Kyoto’s east-west subway line. It runs from Uzumasa-Tenjingawa in the west through the middle of the city before climbing up to the Higashiyama sightseeing district in the east. It then continues east under the Higashiyama Mountains to Yamashina, Daigo (for Daigo-ji Temple) and then south to Rokujizo, a bit north of the suburb of Uji. It intersects with the north-south Karasuma Line at Karasuma-Oike, which provides easy access to and from Kyoto Station. The most useful stops on the Tozai Line are Nijojo-mae (for Nijo-jo Castle), Karasuma-Oike (for downtown Kyoto and the Karasuma Line), Kyoto Shiyakusho-mae (for downtown Kyoto), Sanjo Keihan-mae (for the north end of Gion), Higashiyama (for the Okazaki museum district and the Southern Higashiyama sightseeing district) and Keage (for Nanzen-ji Temple and the Northern Higashiyama sightseeing district).